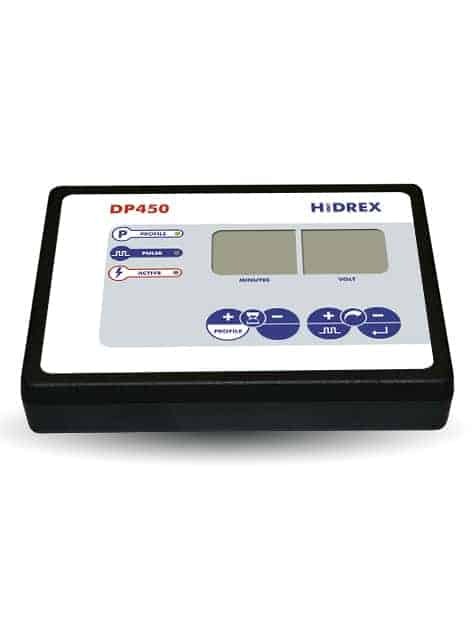 SKU: DP450K. Categories: Medical Devices, Iontophoresis. Tag: dp450. We encourage our customers to submit to their insurance for reimbursement after purchase. Check out our Insurance Reimbursement Guide here. Switchable between Direct or Pulsed Current to suit your comfort level What’s the difference? Anti Shock Electronics (ASE©) protects from the electric fence effect (unpleasant shocking) What is ASE©? This product needs a prescription from your doctor in order to fulfill the order. Please email your prescription to customer.service@hidrexusa.com for our files, or contact us if you are having difficulty obtaining a prescription and we may be able to help. Changed my life! Great customer service. Used the face-mask for my forehead although I did end up placing the electrode sockets on the forehead area – I now almost never have any sweating problems. Highly recommended for anyone with any type of hyperhidrosis. If it helped me (which I never thought anything could help my severe condition) it can help you. This Hidrex machine is top notch. I am absolutely blown away from my results. NEVER can I remember having dry hands or ever having to use lotion on my hands because they were always sweaty. It is an amazing feeling. As far as this machine goes – It’s easy to setup and use. I never was confused or had any problems with device and instructions. Customer service was outstanding – quick email replies and even a phone call to me when I had other questions. Once again, I’m so happy with everything, can’t be more excited and pleased. This works – it will for you too. Just buy it – it’s worth double the price. Thanks Hidrex! I bought this machine for palmar hyperhidrosis, and am absolutely amazed by the results. I have been using it for a little over two months now and am down to two 15-minute treatments per week with no problems of sweaty hands for the last 4 weeks or so. I am completing my first physical therapy clinical (which involves a lot of hands-on work) and have no reservations related to sweaty palms. 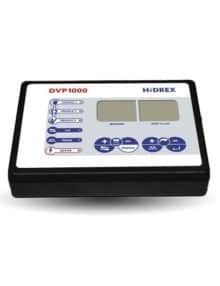 Read the user manual before setting up as it gives some helpful information regarding settings and rotating the plates. Customer service was fantastic through Hidrex; timely responses and I always spoke to the same helpful rep – Chris, who even helped me find the correct insurance paperwork. I failed several other topical treatments before iontophoresis. I would definitely recommend this iontophoresis machine! The device is great, easy to use, and it works ! Thanks to Hidrex for an amazing customer service. I am really happy with my purchase ! This device has improved my quality of life so much. It’s so wonderful to no longer fear handshakes. 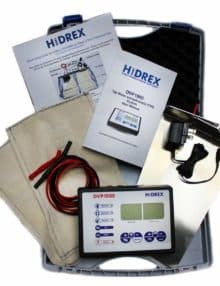 For many years I tried other devices, topical solutions, and prescription medications, and none came near to giving me the results of the Hidrex machine. I was a little nervous about investing in it, but now I am so glad that I did, it was completely worth it. The machine itself is easy to use and it’s great that it doesn’t require batteries that need replaced frequently like some others. Also customer service was extremely helpful and always available for any questions I had. For anyone out there with hyperhidrosis wondering if they should invest in this device, I would 100 percent recommend that you do! It works! I have been using this every day since 3 weeks. I can’t believe that it actually works. Feels so good to finally have dry hands. I am going to continue using it for another few weeks and get my feets dry as well. I was really confused between the 2 products offered by Hidrex but this worked just fine. They also provide an option to use your FSA to buy this product which was really helpful considering the cost of the product. It is easy to set up and use. Highly recommended. I cannot say in words how happy I am while writing this review. I would like to thank all the people involved in “A to Z” of Hidrex DP450 machine. The process of Iontophoresis using DP450 has significantly reduced sweating on my palms. Now, my hands are dry and I feel more confident while doing my day to day activities. I am currently in my 9th session and I am sure by the end of 2 week regime, I will get 100% results. 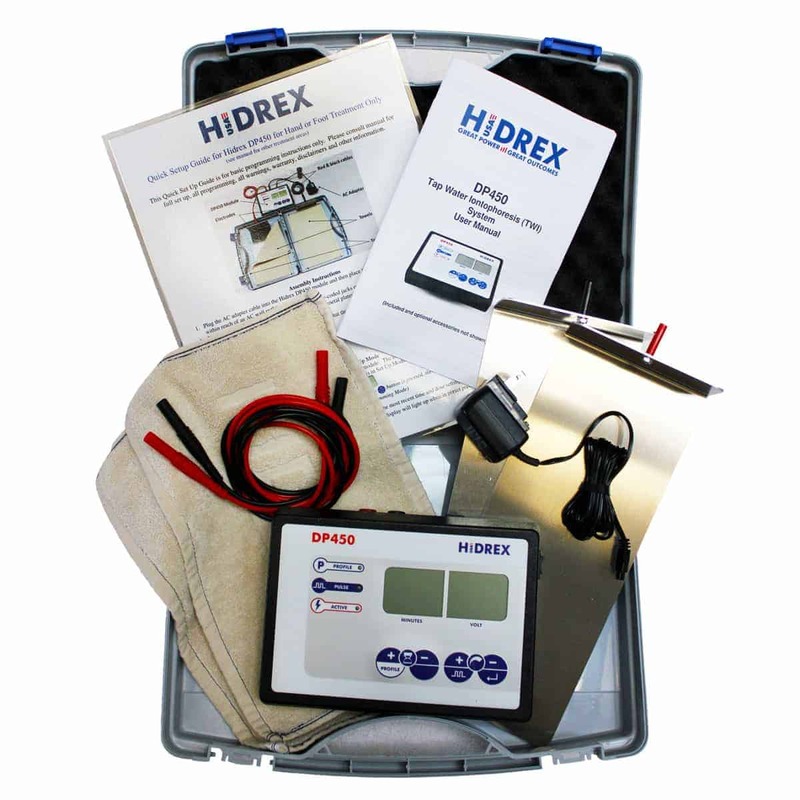 Thank you Hidrex and Team for delivering such a wonderful product. Wish I could blow your star rating above 5.